Size of this preview: 800 × 401 pixels. Other resolution: 1,024 × 513 pixels. Description: Chimney Rock, Bayard vicinity, Nebraska. Sunrise along the old Overland Trail. Rights Usage Terms: Public non-commercial use granted, with credit, for image filenames ending in 'w;' No derivatives. 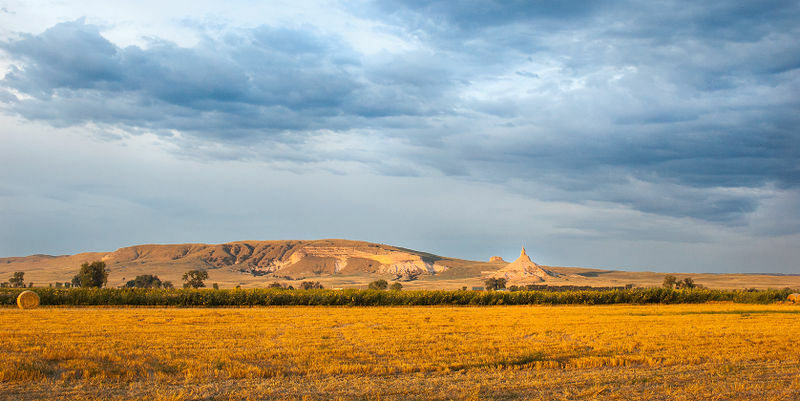 Chimney Rock, Bayard vicinity, Nebraska. View from the Overland Trail. Photograph August 2009. Public non-commercial use with credit granted for filenames ending in 'w' no derivatives. This page was last modified on 11 January 2017, at 18:46.